With over 120 years of combined experience, our GC scientists have the technological know-how to produce quality GC columns! Many spent years creating keystone GC phases at J&W Scientific prior to joining our team. Our foundation in expertise means you get products designed to work out-of-the-box, headache free. 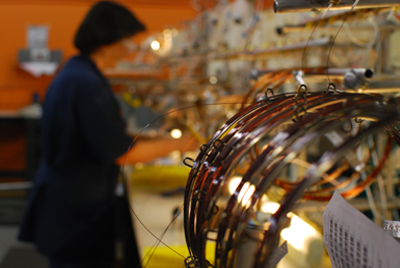 In 1997, Phenomenex acquired GC manufacturing capabilities from Dr. Robert Wohleb, the "W" of J&W Scientific. We set out to pioneer the development of a new family of GC columns, and in 1999 the original Zebron columns came to life! The Zebron column family continues to evolve to help overcome obstacles you face every day - our innovation comes from solving real-world GC problems. Remarkably Inert, Easy to Open, Simple to Install. 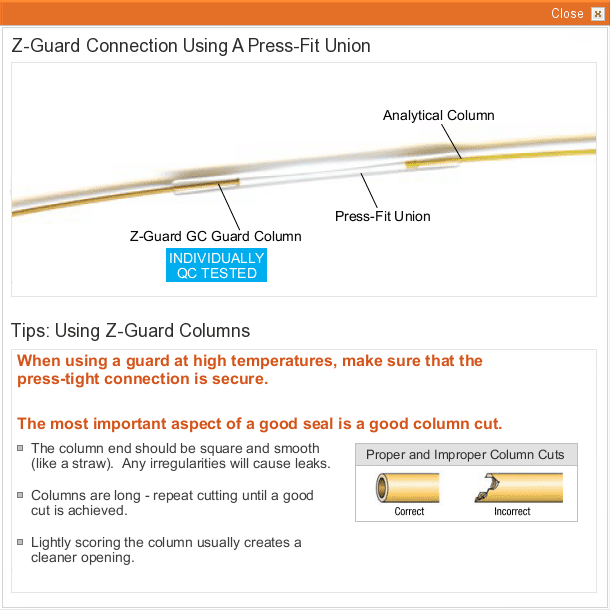 Z-Guard columns are universal GC guard columns, designed for use with virtually any GC capillary column, from virtually any manufacturer.